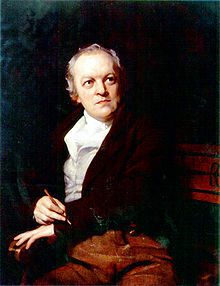 As he worked alongside radical publisher Joseph Johnson, William Blake found himself in the company of many of the period’s most notable intellectual dissidents. One of the most recognizable today would be Thomas Paine, a name that still often appears in discussions of politics. 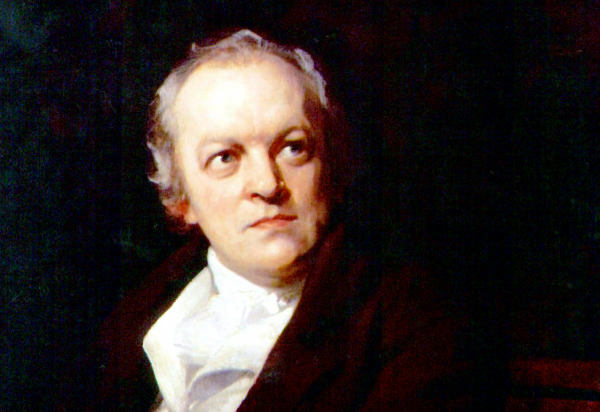 While undoubtedly influenced by these potent minds, William Blake also witnessed and experienced the thrill of the power of the people in the French Revolution. These are factors that shaped the subversive social commentary we see in “London” and each version of “The Chimney Sweeper”. 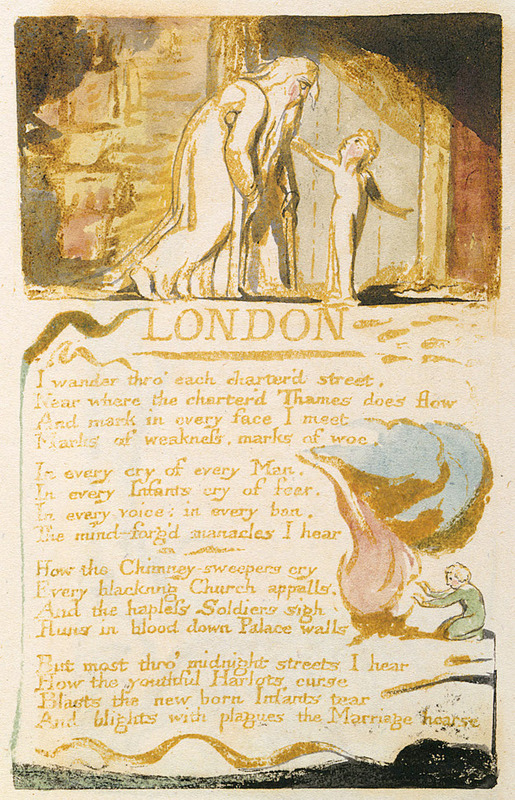 With “London,” Blake offers a bleak view of England’s capital city that he spent much of his life in. During the time of its writing the intriguing blend of excitement and anger offered by the French Revolution was thick in the air as it transpired nearby. Questions of social injustice and observations of imbalances in the social order were whispered even in the streets of London as revolution spread through the masses like a social super bug, tempered by evolution. Blake indicts the city of London for crimes against its own people. 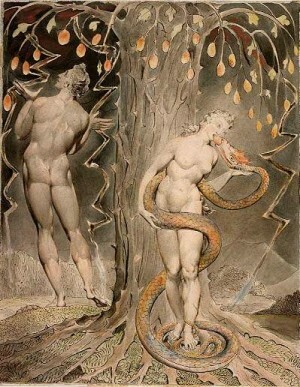 All of the city’s inhabitants are failed by the state and church inciting an anger in Blake’s words that swell with vitriol by its conclusion. Perhaps most importantly to Blake, the people are unhappy and this is made evident by the narrator’s observation of marks of weakness and woe. This paints a picture of despair on the faces of citizens in a time when many were becoming enlightened to the notion that it was the duty of the government to provide happiness, or at the least facilitate it. 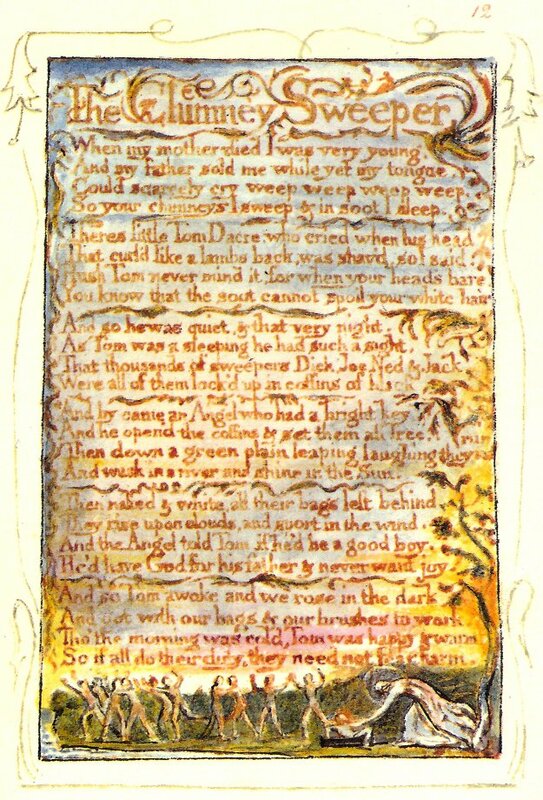 A topic that is common among all three of these poems is the plight of the children involved in the chimney sweeper trade which Blake passionately holds the church accountable for. This was an institution trusted to protect the poor and weak yet they were treating children as expendable to the cause of capitalism. But Blake also likely knew that his words would incite dissonance in the mind of his reader, possibly diminishing over the time the status quo that made these atrocities socially acceptable. In the Songs of Innocence’s “The Chimney Sweeper” we are given the perspective of a cheery chimney sweeper who trusts the word of the Angel, representing the church, that promises happiness as long as he obeys the role given him in life. Song of Experience’s “The Chimney Sweeper” gives a darker, more realistic view of this morbid socioeconomic dynamic that involved the church peddling orphans off into a miserable trade. There is a return of the word “woe” that indicates a subservient that is unhappy and failed by its master, the church. Also, this time there is no hope given to the chimney sweeper. No reward is offered for their struggle, just a pessimistic view of the realities that pertain to their situation.